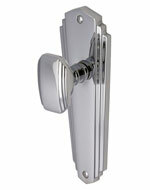 Here are selection of Art Deco door handles, we have noticed good interest from customers of late in these handles. 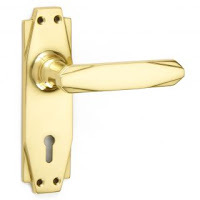 Maybe it is just that door furniture such as these are not easy to come by from Irish suppliers or perhaps there is the beginings of a new trend in home furnishing in evidence in recent weeks. 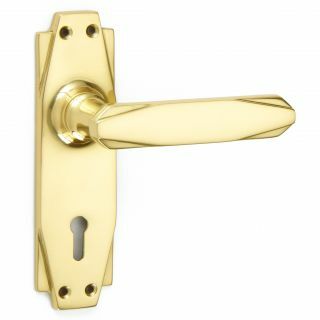 No matter what, we are most willing to offer all our customers an extensive range of handles is in every possible style and finish, please have a look here at some of our Art Deco Handles, call me John on 021 488 3131 for more information and advice, have a look at more of our range on www.handlesupplies.ie. This premium Art Deco type door handle is available in16 different finishes, from polished chrome, to brushed chrome to bronze, brass, nickle, and several other antique and comtompory finishes.